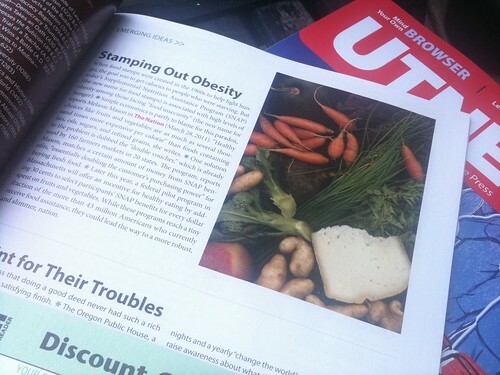 An image from the Greenmarket Produce Scans series, in Utne Reader Jul/Aug 2011. My photo “ong island ail road” accompanied a story in The Morning News today. 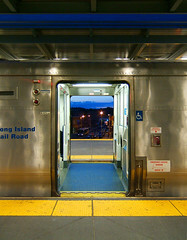 The Long Island Railroad is New York’s lifeline in the summer—a fleet of rescue vehicles destined for the beach. For some, though, it’s also a means to find freedom. EMILY MEG WEINSTEIN reports from every station down the line. Some of my vegevision has been featured in Edible Brooklyn magazine! More information about the project and about purchasing prints from the series can be found on the project page. When I heard the title of Flux Factory’s latest show, Response to Tatlin’s Monument to the Third International Conceived in the Mood of Ambivalence, or R.T.T.M.T.T.T.I.C.I.T.M.O.A. for short, I thought I was going off to see a ridiculous, pretentious show full of highfalutin communist propaganda. My photo (above) from opening night was used to illustrate the article. One of my produce scan images was used to illustrate an article in the German online magazine Riesenmaschine. Today is the West Indian Day Parade! …featured again on Gothamist, March 22 2007.